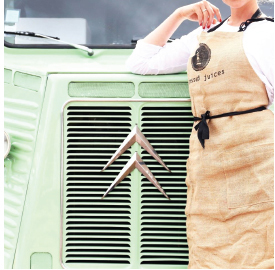 Not content with watching the world eat itself to bad health, Pressed Juices founders, an eclectic team of four came together to develop a brand. A space that allowed them to teach, share and provide products that enabled Australians to live a positive life. With diverse industry backgrounds and a profound skill set between the four of them, their stories began to shape Pressed Juices ethos. Our founders had one common ambition. Whatever they created must always be unpasteurized, free from preservatives, artificial sugars and additives. That single objective united them and became the groundwork of Pressed Juices. This four became the Positively Life Changing force behind Pressed Juices. Business minded, strategic and non-conventional, our founder, saw a gap in the Australian market for convenient products that were not compromised in quality. Cold pressed juicing was an integral part of our founders lifestyle overseas. Unable to find the equivalent to genuine and authentic cold pressed juice products in Australia, our founder began The Pressed Juices movement on our shores. A product that let its taste profile speak for itself soon became the vessel to educating the local community about the benefits of cold pressed juicing and the importance of a leading healthy lifestyle. Pressed Juices first store Manager, a qualified Nutritionist, who had developed a solid foundation in biomedical and clinical sciences whilst discovering the therapeutic potential of food began to formulate Pressed Juices juice range. Through the use of functional foods, herbs and nutrient dense super foods, original juice combinations on the shelves began to spark the interest of the local community. This rare luxury of being able to consult with a highly qualified Nutritionist face to face became our difference. 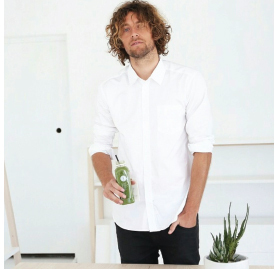 Pressed Juices as a collective now spans across five Australian states, of which, all Pressed Juices stores are managed by qualified Nutritionists that supportively continue to develop our brand through various avenues. Pressed Juices began with one ambition in mind. For every Australian to enjoy Pressed Juices products every day to improve their health and wellness. Pressed Juices purpose will always be, just this. From four Melbourne professionals and one store, to a team of 120 personnel and 22 stores Australia wide. Pressed Juices is Positively Life Changing. Pressed Juices was founded on the principle that we need a simple, effective means of nourishing our bodies, relieving them from the stress of everyday life, and restoring ourselves to a state of wellbeing. We understand the difficulty of proper nourishment in today’s stressful and hectic world. At the same time, we realise the vital importance of giving ourselves optimal levels of nutrients to allow our bodies and minds to function at their highest levels. Pressed Juices exists to deliver the uplifting and healing powers of raw, cold pressed juice to you through the most efficient and convenient means possible.